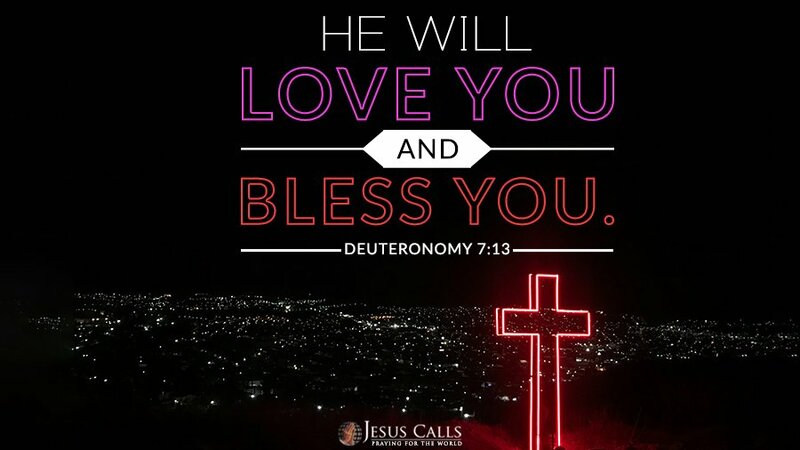 The book of Deuteronomy is usually known as the ‘second law’ because it’s author, Moses recaps the ten commandments and the laws governing God and His people, the Israelites. The more we are diligent to follow His commands, the more His blessings are poured on us, in all areas of our life. God hears the cry of His children, answering them in their distress- For He loves them. An alumnus of the Karunya University had no child even after 14 years of married life. She cried to the Lord in anguish. Her first child was stillborn and the second one died even while he was in the womb. To make matters worse, a person who prayed for her said, “You have committed some grave sin, and that is why you lose the baby every time you conceive. You will not have any children.” She was devastated on hearing this. Not knowing what to do, she tearfully asked the Lord, “Lord, won’t someone pray for me? Please send somebody to pray for me.” At that time, I had a strong urge to contact her. So, I called her over the phone and said, “This is Bro. Paul Dhinakaran speaking. I feel burdened to pray for you.” The moment I said these words, she burst out crying and shared her burden with me and the reproaches she was facing and requested me to pray for her. On hearing her pathetic condition, I cried out to the Lord in tears and prayed for her. By His amazing grace, the Lord blessed her, who was childless for 14 years, with a beautiful baby. This is the goodness of the Lord. He will neither despise you nor your prayers. He sees all your tears. Are you languishing in pain for a long time? God will remove your lack and bless you with the desires of your heart. He loves you just the way you are. Continue to trust Him and believe His promises, and He will work great things for you. So, cheer up! Loving Father, I thank You for encouraging me today through this testimony. Indeed, there’s hope for me as these words have stirred my faith. You are the same yesterday, today and forever. I believe You will work great things in my life too.